Nike Men’s Breathe Quarter-Zip Training Top for just $20 !!! reg price $40 !!! 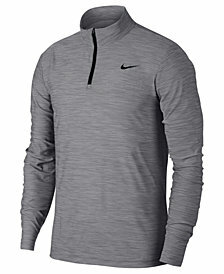 Hot Deal for this, Nike Men’s Breathe Quarter-Zip Training Top for just $20 !!! reg price $40 !!! Multiple colors !!! Bella 12-Pc. Stainless Steel Cookware Set for as low as $19.99 + FREE in store Pickup!!! reg price $120!!! Clinique For Men Great Skin To Go Set – Normal to Dry Skin only $19.50 + FREE shipping !! reg price $36!! Clarisonic 4-Pc. Pink Mia2 Cleansing Skincare Gift Set for $81.12 + FREE shipping !! reg price $221 !! Small Kitchen Appliances for as low as $10 !!! reg price $45 !!! First Aid Only 299 Piece All-Purpose First Aid Kit, Soft Case for just $11.49 !! !